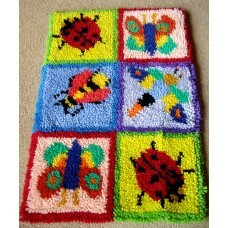 Bug rug kit with hand painted canvas in Romney rug wool. 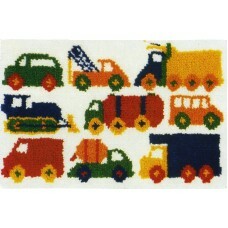 Size 45cm x 68cm (18in x 27in). 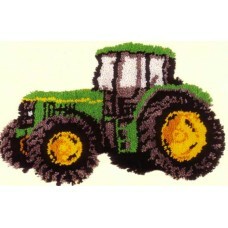 Kit includes canvas, cut packs of Romney pure wool, latc..
Tractor latch hook rug kit with hand painted canvas in Romney rug wool. 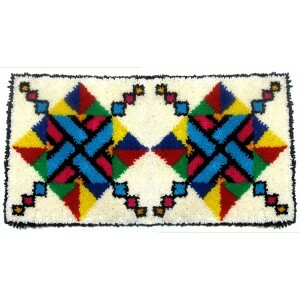 Size 68cm x 78cm (27in x 30in). 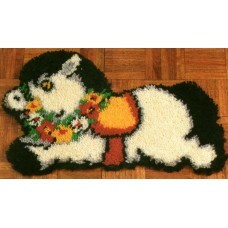 Kit includes painted Zweigart canvas..
Traffic Jam latch hook rug kit with painted canvas in Romney pure wool. Size 45cm (18in) by 76cm (30in). Kit includes painted canvas, c.. 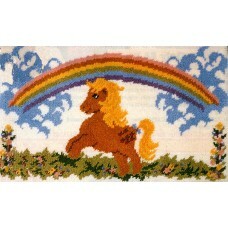 The Pony latch hook kit is an ideal beginners kit as it is a nice simple design to follow on a clearly stencilled canvas in Romney pure wool and wou..